The president of the Confederation of African Football (CAF) has said that he is happy to see Egypt acquire the hosting rights of the 2019 African Cup of Nations; affirming that all the needed support will be offered to the North African country to ensure a successful tournament. Egypt has been granted the hosting rights of the 2019 African Cup of Nations after winning a majority of votes in Tuesday's meeting of the executive committee of the CAF. "I am happy to tell you that Egypt will be hosting the African Cup of Nations," the president of the African football governing body Ahmad Ahmad said in a press conference after the announcement. "We will seek a partnership with the Egyptian side. We are aware of the existing problems and we could seek the help of our partners; especially FIFA and other countries that could help us in ensuring the tournament in its new summer shape is successful," he said. "We must admit that there was a competition between Egypt and South Africa. We want to achieve all the ambitions. 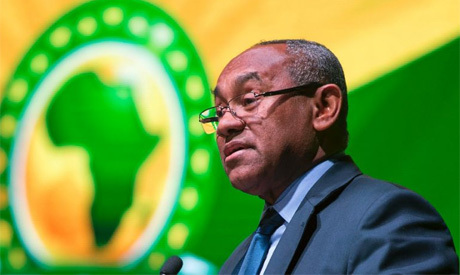 The slogan of this edition of the African Cup is granting hope and ambition for next generations," the CAF boss explained. Last December, Cameroon was stripped of the right to host the 2019 African Cup of Nations due to both serious delays in its preparations for the cup and the persistence of a violent separatist uprising near two of the planned venues. Following the decision on stripping the West African nation of the right to host, CAF opened a new bidding process. Egypt and South Africa were the only two countries to submit their candidacy to become 2019 host. The 2019 AFCON is scheduled to take place from 15 June to 13 July, having been moved from January/February to avoid club-versus-country clashes. South Africa organised the 2013 edition. The Pharaohs have won the prestigious competition seven times. This year’s edition has seen major innovations, with the tournament expanded to 24 teams up from 16, and moved to a summer schedule instead of its former January-February calendar.